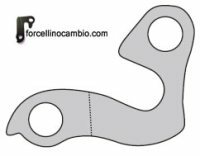 Derailleur Hanger Torpado Ribot 29 er size 1:1 scale. Made in Italy. 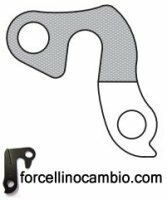 Torpado T540 2012 derailleur hanger 6061 T651, made with CNC technology. Black anodized. Lighter and more durable than the hanger series. 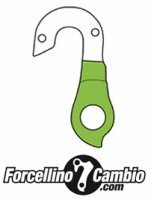 Torpado T831 2015 derailleur hanger 6061 T651, made with CNC technology. Black anodized. Lighter and more durable than the hanger series. T510 Black Hills DH aluminum derailleur hanger 6061 T651, made with CNC technology. Black anodized. Lighter and more durable than the hanger series. MTB Torpado Levizir Carbon 29" derailleur hanger. Fatbike Torpado Tatanka 2015 derailleur hanger. Torpado Flare T50 Carbon derailleur hanger. Torpado T579 29er 2013 derailleur hanger. MTB Torpado T68 anno 2013 derailleur hanger. 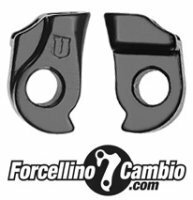 Torpado T75 Uranus 29er 2014 - 2015 derailleur hanger.